The right tools to publish, inexpensively and efficiently. Savvy? My bookshelf represents books published in all three areas: traditional, indie and self-published. Books position you as an expert in your field. 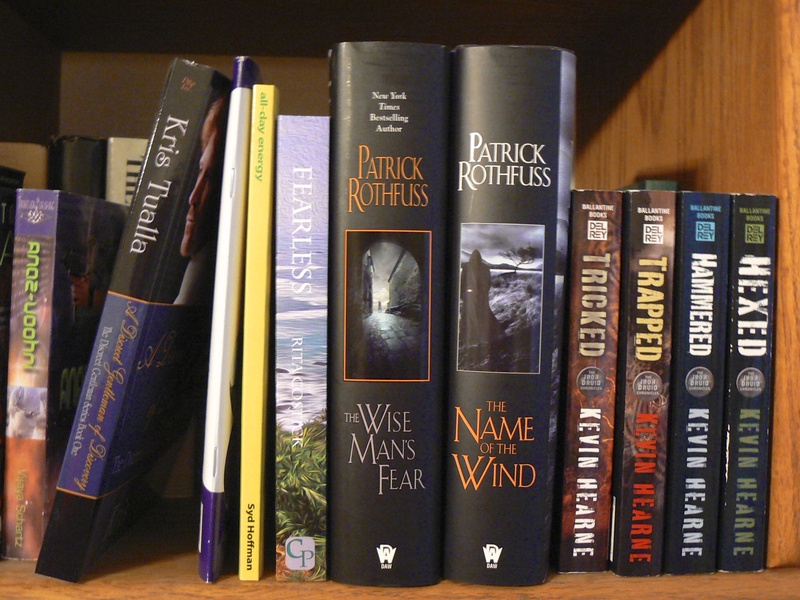 Books can create a form of passive income. So, do you know what tools are available to you? Do you know the effective shortcuts that keep you from cutting off an arm and a leg to pay for it? Here are some starting points. Of course you can always pursue publishing with one of the Big 6 traditional publishers—Simon and Schuster, HarperCollins, Random House, Macmillan, The Penguin Group, and Hachette—but you lose time and control there. It’s typically a two- to three-year process of finding an agent, working through editing to the house specs and the design, and the actual production of the book. You also will need to, for the most part, go with their editing suggestions and cover design. Marketing is still on you, except for a short initial push, and that valuable shelf space in book stores. Indie publishers, a segment of which is considered vanity press, offer an option in between traditional publishers and self-publishing. 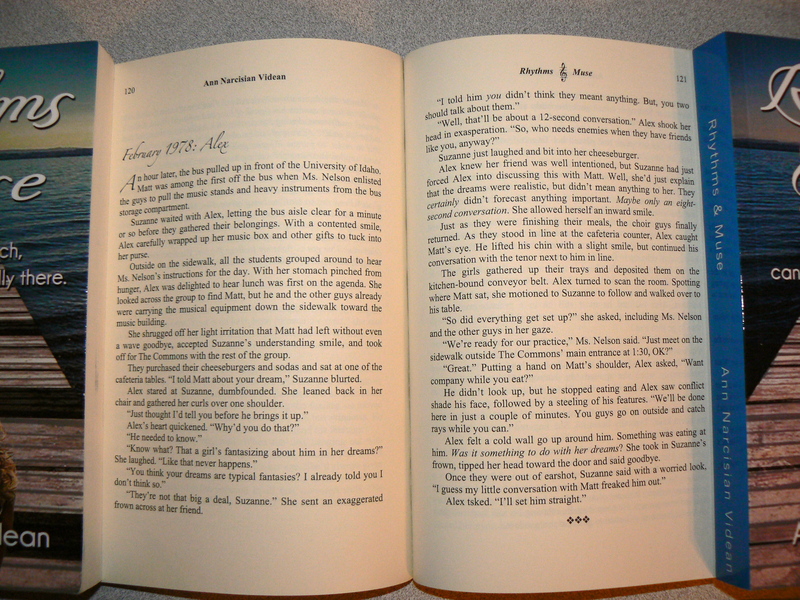 They hold your hand through the book creation process and charge you for various steps, including printing. You often will need to store your own inventory and manage your own distribution with these companies. Almost all the publishing folk I’ve run into like Lightning Source. Many say their printing quality is excellent, but their best benefit is their association with Ingram, the book distributor. They’ve recently added a print-on-demand service, as well, which stops the need for inventory. LuLu offers many of these same benefits, but one of its differentiators is that it prints hardcover books as well as the softcovers typically published by other providers. Here’s a Live Hacked article comparing Lightning Source with some of the other publisher options to be covered below. A note of caution: There’s quite a bit of speculation about the integrity of a group of indie houses, including Author House, iUniverse, and Abbot Press (Writer’s Digest). Do your research. More and more boutique e-publishers are entering the market no, too. I happen to edit for one very reliable e-book, and now print, publisher—Desert Breeze Publishing—out of California. Again, I urge you to do your research before using or, especially, giving any book rights to an indie or e-book publisher. Search online for ratings and comments, or talk to a publishing consultant. Find the great ones, amidst the chaff. My favorite publishing option, and the resource most accepted in the publishing world to-date is the Amazon platform including CreateSpace (for print books, CDs, and videos), Kindle Direct Publishing (e-books), and ACX (Audiobook Creation Exchange). Fill out their online form, to get an ISBN, pick book size, paper color, pick distribution options. You may opt to pay a minimal fee for extended distribution, which gets you into the computer systems of the larger book store chains. In the online form you’ll also upload a book blurb and author bio. The site provides access to design tools and templates to help you create your cover spread and interior layout. Once the materials are completed to your satisfaction, you upload PDF files. When everything’s perfect in the proof, you click a button to publish. You manage Kindle e-book creation through CreateSpace. Another author favorite is Smashwords, the world’s largest distributor of indie e-books. The beauty of this platform is its ability to publish e-books in all reader formats: for Apple, computer, Kindle, Nook, etc. Its upload process is very similar to CreateSpace, but may take some additional formatting. I often tell authors to budget at least $5,000 to create a quality book… your biggest investments will include editing, design and layout, and the base cost of books you plan to sell yourself. If you already invested time in creating quality blog entries, for example, you should be close to having finished documents to compile into a book. This means you could get away with a medium-priced editor and a design contest—through Mycroburst.com for example, upload everything yourself and spend only a few hundred dollars. You can save a ton, if do almost everything yourself, but you a solid skill set in design, writing/editing, and marketing to be able to do this effectively. Your best bet is to hire professionals, especially for editing and design. I challenge you to build your credibility and generate passive income. Simply look at your marketing materials to see what you might already have on deck to compile into a book. 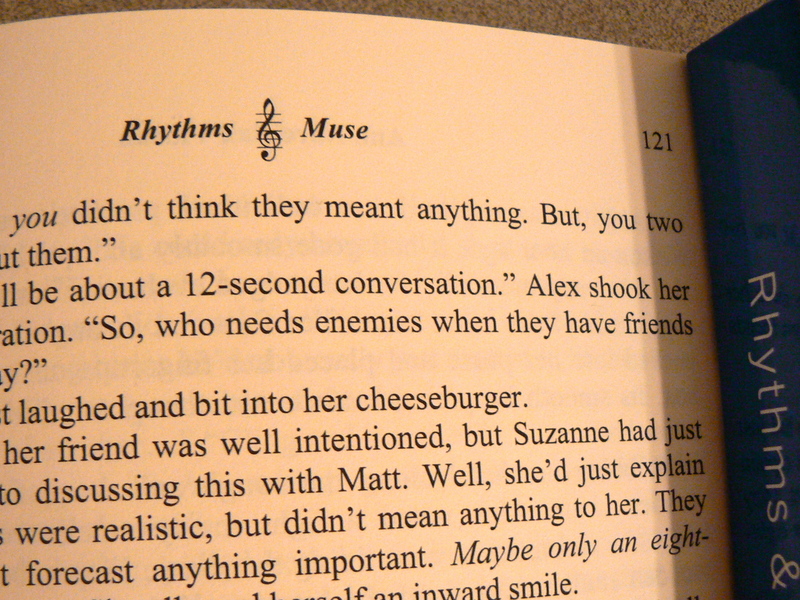 Interior page layout of Rhythms & Muse. So, you completed writing your manuscript, and created a cover design with images to compel readers to pick up your book. The next step involves the production of its interior page layout. You may think of this as a slam-dunk exercise, but it can require quite a bit of knowledge about word-processing or design programs. It takes into consideration the size of the book pages, width of margins, size of fonts, page number location, graphic images, and more. Making all these elements work well together requires quite a bit of skill with specific software programs. Attention to detail can make a book more compelling. Like using a treble clef ampersand to tie in my book’s music theme. A very helpful entry at The Book Designer blog describes all these options in-depth. You’re welcome to contact me to discuss what tools and resources worked for me, and what I recommend to clients. P.S. Do you have a secret to share about managing a book’s interior page layout ? Feel free to comment below. 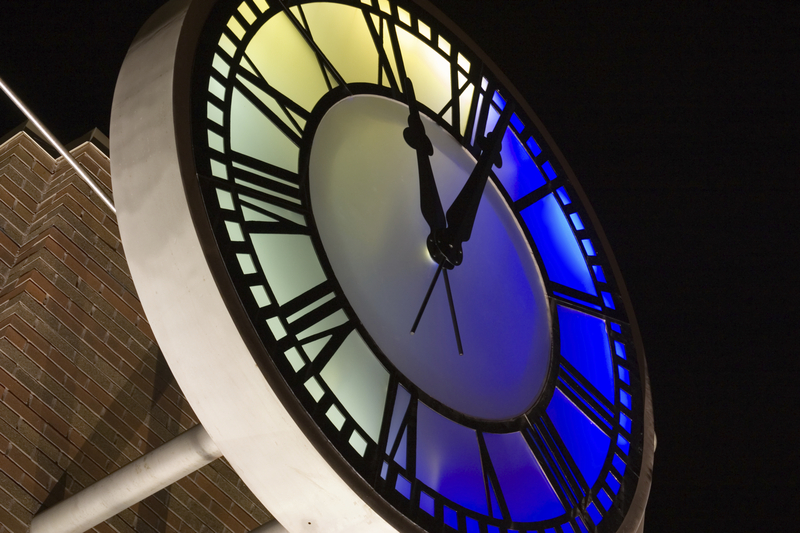 Don’t wait until the 11th hour to take care of book production details! So, you wrote your book, a professional edited it, and you’re ready to start the self-publishing process. But where do you start? What should you include? How do you cover yourself legally? 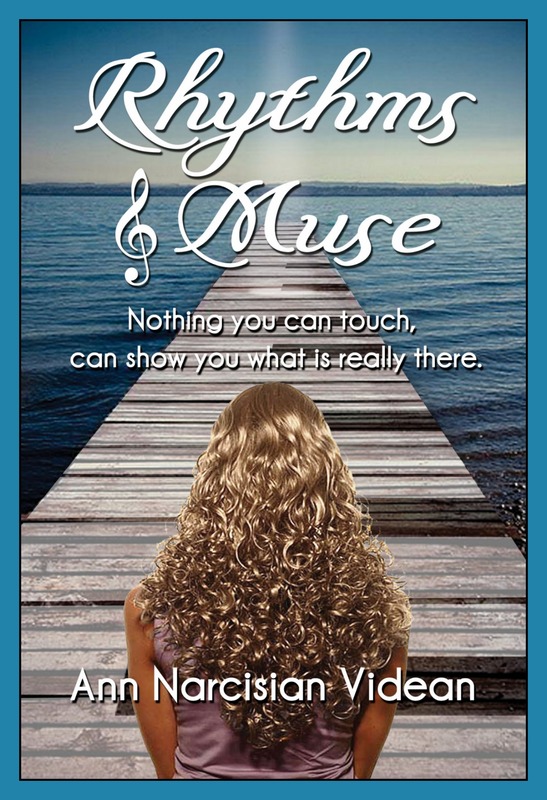 I self-published my first book Rhythms & Muse through CreateSpace (an Amazon company), but it took me years of research—online searches; conference attendance; and asking questions of other writers, editors and book consultants—to narrow down everything needed to actually get the book into printed form. I’m sharing my research here to make it easier for you, so you don’t have to spend all that time. I wish someone had done it for me, so I’m paying it forward. 1. Decide if you want support from a virtual author’s assistant so you don’t have to do everything yourself. This is someone who will do the legwork for the following few steps, and more. From my experience, you should expect to pay at least $65/hour for the services of a VAA. Because my novel included so much research on song permissions and royalties for lyrics, my quote from a VAA amounted to about $3,500. Standard novels without much legal research would probably cost much less. A great resource to learn more about this: Jan B. King’s VAA Web site. 4. Obtain a Preassigned Control Number (PCN). This is a unique number assigned to each Library of Congress catalog record (book). You need only acquire a PCN if you want your book available in libraries. PCNs are free, but you must apply for one, which takes about two weeks. For more details on applying, visit the Library of Congress PCN FAQ. 5. Obtain legal permissions, and licenses (for which you’ll pay royalties). I highly recommend talking with a copyright lawyer like Kevin Keener at Keener McPhail, LLC to make sure you’re in the clear using someone else’s words, images or other creative works. 6. Decide if you want to officially copyright your work. This is optional, as anything you create is technically your copyrighted material already. But, if you’re paranoid about ownership, you can officially copyright the work through the U.S. Copyright Office. Just note that this can cost you a pretty penny. These six steps serve as a good starting points. For my next blog entry, I plan to blog talk about design options for book production. In the meantime, any other tips you’d care to share with other authors about the production of their books? This article provides two initial decisions you must make to decide the best way to introduce your book into the market. First, know your manuscript and research possible publishers. Be clear what kinds of material potential publishers print. Does your story fit? Will you need an agent? (Some publishers will not consider your manuscript without one.) They also require you to follow very specific guidelines when submitting manuscripts and otherwise dealing with them. Luckily, you can find out everything you need to know about the writing marketplace — not only for traditional and other publishers, but for magazine articles, greeting card companies, and more — in the Writer’s Market publications available online, at libraries and in book stores. If you do decide to pursue an agent and traditional publishing, check out individual agents, their histories, success rates and more at Agent Query. Writer’s Market provides a guide specific to literary agents, as well. P.S. The decision to publish traditionally or by yourself involves a lot of nuances and choices. If you need additional input, ask a question in the comments below to see what others suggest. I don’t care if you wrote 27 books, publish multiple corporate newsletters every month, or even edit others’ words. You cannot edit your own writing. Fresh eyes, peeps. That’s what it’s all about. When you write, your brain repeatedly works through messages the same way, and tends to gloss over words, phrases and ideas already “set” in your mind. It’s a subjective process. 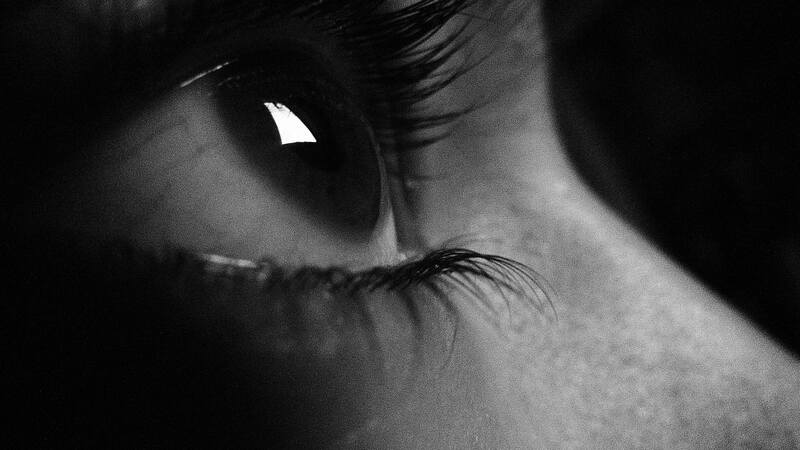 Someone else — and, preferably, a number of someone elses — can take a look at those same words, phrases and ideas and see something completely different. They provide a fresh, objective viewpoint. • Writing a 68-page, four color, tabloid RealTime news magazine for computer resellers every two weeks required at least five sets of eyes on our team. Invariably, the designers would see mistakes the writer/editors missed, and vice versa. • The professional editor of my initial Rhythms & Muse manuscript pointed out that I did not include any current-day scenes with my hero anywhere in the first half of the book. What? I couldn’t belief my oversight. Her input contributed to creating a much more complete, seamless, self-published novel, and helped make it interesting enough to rate almost all 5-star reviews on Amazon. NOT solely your mother or good friends, even if they are avid readers. OK, so did I make my point? You are not your own best editor!!! P.S. How do you get input on your writing?